Embrace the summer nights and dine al fresco under falling florals and magical moonlight. With charming decor, this ordinary evening can become your very own romance. Discover the marriage of nature and modernity in this ever playful garden party waiting for you. Shop the look with this fairy-tale scene. 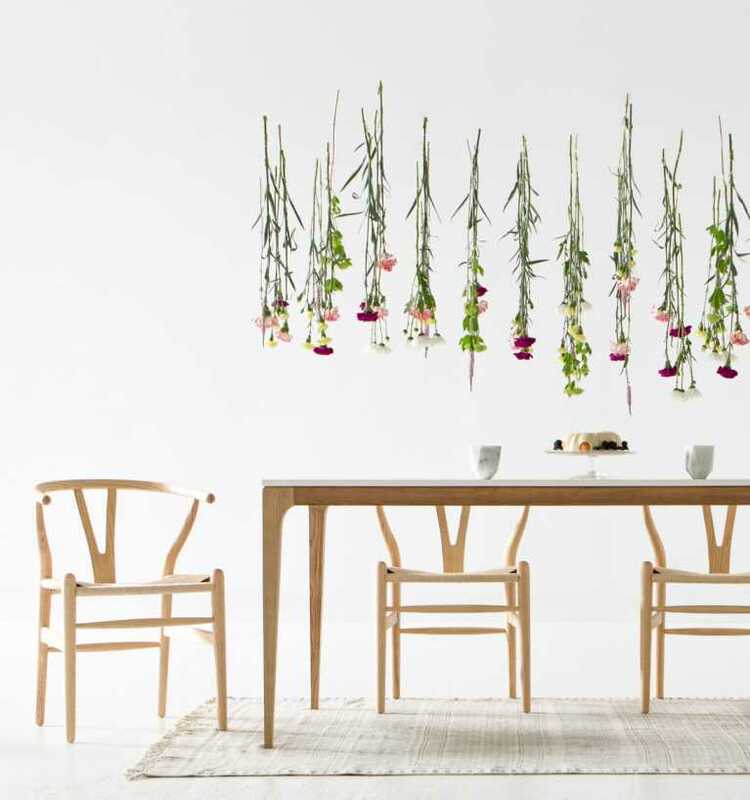 A most simple minimalist piece, the Lars Dining Table is the perfect place to begin a party. Keep it clean, or layer up with extravagant decor. The fluid lines and minimalist style create an airy feel while the Y-back evokes a truly organic impression. This well-known dining chair is exactly right. Both classic and modern, this piece pairs well with any kind of floral arrangement or can stand alone as a decorative object in its statue-esque beauty. With vibrant white finish, this petite sideboard blends nicely into the background of the party. Large storage within makes this piece perfect for hosting. Angular cut with many facets for unique diamond-like character, this gem looks great stand-alone or clustered around the dinner table. A fun freestyle print and shaggy tassels inspire freedom and a carefree way of living, similar to the name of this playful rug. Freja makes a lovely invite to the party. Host your garden party with these everlasting essentials. Find more inspiration by checking out more look books.